How can I help you? Questions? Go here for help. Good Friday, also known as “Holy Friday,” is the Friday immediately preceding Resurrection Sunday. It is celebrated traditionally as the day on which Jesus was crucified. The events of Good Friday are recorded in Matthew 27:1-61, Mark 15:1-47, Luke 23:1-56, and John 18:28-19:41. Today is the day Jesus was delivered over to Pilate the governor of Judaea. When Pilate asked Jesus if He was King of the Jews, He responded that Pilate had said so. Still, Pilate believed Jesus had done nothing deserving of death and tried to free Him by asking the people which prisoner they wanted released (as was custom)—but the people shouted Barabbas. Even at the urging of his wife not to harm this man because of a dream she had, Pilate continued on in the death proceedings. Jesus was beaten, mocked, and crucified—but there was something different about His death. You see, at just the right time, when we were still powerless, the Messiah died for the ungodly. Very rarely will anyone die for a righteous person, though for a good person someone might possibly dare to die. But God demonstrates his own love for us in this: While we were still sinners [missing God’s goal], the Messiah died for us. Many churches celebrate Holy Friday with a subdued service, usually in the evening, in which the Messiah’s death is remembered with solemn hymns, prayers of thanksgiving, a message centered on the Messiah’s suffering for our sakes, and observance of the Lord’s Supper. Whether or not followers of Jesus choose to “celebrate” Good Friday, the events of that day should be ever on our minds because the death of the Messiah on the cross—along with His bodily resurrection—is the paramount event of our faith. We have atonement and reconciliation to God through Jesus. Now that is some Good News! What is atonement? In dying for the sins of the world, Jesus fulfilled and replaced the OT sacrificial system, so that all who believe in him are restored to fellowship with God. The Messiah Jesus is the true high priest, who finally liberates his people from the guilt of sin, by offering himself as the supreme sacrifice. What is reconciliation? On account of missing God’s goal (sin), people are alienated from God and cut off from fellowship with him. Through Jesus, God reconciles the world to himself, breaking down the barriers of hostility and estrangement. The atoning purpose of Jesus death – Jesus the Messiah’s death on behalf of others. A broken relationship through missing God’s goal (aka sin) brings alienation from God. Isaiah 48:22 (NASB) — “There is no peace for the wicked,” says the Lord. Isaiah 64:7 (NASB) — There is no one who calls on Your name, Who arouses himself to take hold of You; For You have hidden Your face from us And have delivered us into the power of our iniquities. Romans 5:10 (NASB) — For if while we were enemies we were reconciled to God through the death of His Son, much more, having been reconciled, we shall be saved by His life. Ephesians 2:1–3 (NASB) — And you were dead in your trespasses and sins, in which you formerly walked according to the course of this world, according to the prince of the power of the air, of the spirit that is now working in the sons of disobedience. Among them we too all formerly lived in the lusts of our flesh, indulging the desires of the flesh and of the mind, and were by nature children of wrath, even as the rest. Ephesians 2:12 (NASB) — remember that you were at that time separate from Christ, excluded from the commonwealth of Israel, and strangers to the covenants of promise, having no hope and without God in the world. James 4:4 (NASB) — You adulteresses, do you not know that friendship with the world is hostility toward God? Therefore whoever wishes to be a friend of the world makes himself an enemy of God. 2 Corinthians 5:18–19 (NASB) — Now all these things are from God, who reconciled us to Himself through Christ and gave us the ministry of reconciliation, 19 namely, that God was in Christ reconciling the world to Himself, not counting their trespasses against them, and He has committed to us the word of reconciliation. Romans 5:6–8 (NASB) — For while we were still helpless, at the right time Christ died for the ungodly. For one will hardly die for a righteous man; though perhaps for the good man someone would dare even to die. 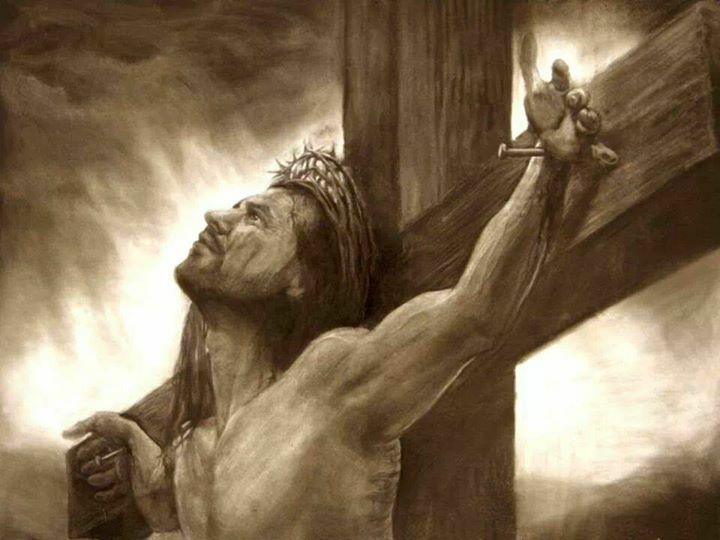 8 But God demonstrates His own love toward us, in that while we were yet sinners, Christ died for us. Galatians 4:4–5 (NASB) — But when the fullness of the time came, God sent forth His Son, born of a woman, born under the Law, so that He might redeem those who were under the Law, that we might receive the adoption as sons. 1 John 4:10 (NASB) — In this is love, not that we loved God, but that He loved us and sent His Son to be the propitiation for our sins.